One could say that 2014 was a “dry” year for legislation affecting community associations because some of the most important legislation this year affecting associations addressed an association’s ability to enforce governing documents in times of government-declared drought. However, the year also brought new legislation clarifying who is responsible for repair and replacement of exclusive use common area, new rules regarding Internal Dispute Resolution (IDR), and solar energy installations by owners. What started out as a bill designed to relieve small associations from the expensive burden of dual envelope, secret ballot elections, was amended this year to instead address an ambiguity in the Davis-Stirling Act with respect to maintenance responsibility of exclusive use common area. Common area is area within an association that is generally owned by the association. Examples of common area include a community pool, roofs in a condominium project, or a community clubhouse. This is as opposed to the separate interest owned by the members, such as the interior of an owner’s unit where the members live in a condominium project. There are, however, some areas that are owned by the association, but which are designated for the exclusive use of a particular unit. These areas typically include balconies or patios. These areas may be defined in the association’s governing documents as “exclusive use common area” because they are owned by the association (and, thus, common area), but are used exclusively by the residents of a particular unit. There is a New Day Care Home in the Association. What can the Board Do? 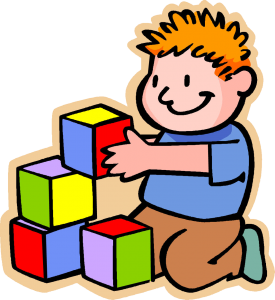 Associations cannot prevent the running of a day care at a residence in the Association. As a matter of public policy, under Health and Safety code section 1597.40(a), children in a day care home are to be provided the same environment as is provided in a traditional home setting. As a result, the California legislature has declared day care centers in residential single-family homes cannot be prohibited, and determined than any restrictions that directly or indirectly limit the acquisition, use, or occupancy of property for a family day care home for children are invalid and unenforceable. H&S §1597.40(c). A “day care home” is defined as one that regularly provides care, protection, and supervision for 14 or fewer children for periods of less than 24 hours per day.” H&S §1596.78(a). Are you Giving Proper Notice When Using Reserves to Pay for Litigation? Happy New Year! As we enter 2014, there have been some significant changes in community association laws in California (Click Here for our 2013 Legislative Update). Not the least of which is the restating of the Davis-Stirling Act. While we have already addressed the most significant changes in the new Davis-Stirling Act (Click Here for our Guide to the New Davis-Stirling Act), now that the revision has taken effect, and we are dealing with the new law on a day-to-day basis, new issues are being discovered which were not anticipated. As these issues pop-up, we will be writing on them to bring them to light, and provide some guidance on how to address these new issues. Of course we couldn’t get far into the new year without the first of these “unforeseen” issues already coming to our attention. This one courtesy of Cathy Acquazzino of Progressive Community Management. Cathy noticed that under the “old version of the Davis-Stirling Act, when an association used funds from reserves to pay for litigation, the association was required to give notice of that decision to its members in the “next available mailing.” (Old Civil Code section 1365.5(d)). This language set the time period within which the board had to notify its members of the use of reserve funds to pay for litigation. 2013 Proved to be a relatively quiet year for legislation for community associations. However, that does not mean that 2014 does not bring some drastic changes. AB 805 enacted in 2012 reorganized and restated the Davis-Stirling Act and moved it to a new part of the California Civil Code. While there are some changes to the Davis-Stirling act as a result of AB 805, most of the changes are relatively benign as this was designed to be a non-controversial matter. We have already written about the more significant changes coming with the restated Davis-Stirling act, and you can find our detailed article, “Guide to the Davis-Stirling Act Reorganization (AB 805)“, or click here to download a PDF version of that article. SB 745 is a multi-issue omnibus bill, and as it relates to community associations primarily acts to “clean up” some issues related to the reorganizing of the Davis-Stirling Common Interest Development Act, which becomes effective on Jan. 1, 2014. As enacted in 2012, AB 805 reorganized and rewrote the Davis-Stirling Act in a new part of the California Civil Code. As often happens with such a significant undertaking, items are inadvertently omitted, or changes in the law are not incorporated in time to be included in the bill. SB 745 serves to rectify those types of issues. 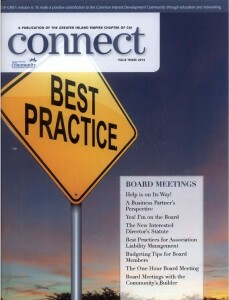 Robert M. DeNichilo’s article on on homeowner association board member duties and obligations entitled “Yay! 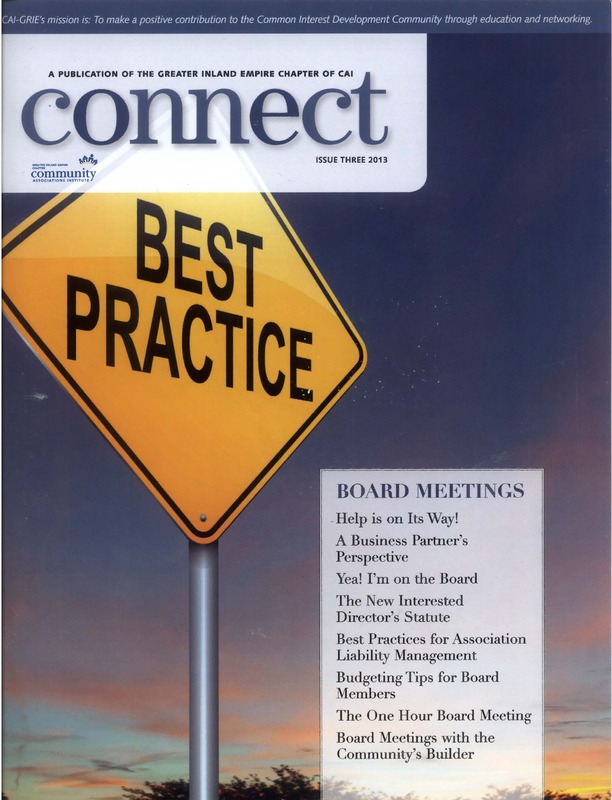 I’m on the Board or OMG, What did I get myself into?” was recently published by CAI’s Greater Inland Empire Chapter’s Connect Magazine. You can read the original article here, or click here to download the version which was published in Connect Magazine. Responding to an Accommodation Request? What’s your Policy? Who’s the Boss? The National Labor Relations Board’s new standard for determining joint employment may make community associations and management companies responsible for contractors’ pay, benefits and legal liability. Review your agreements with business partners now.